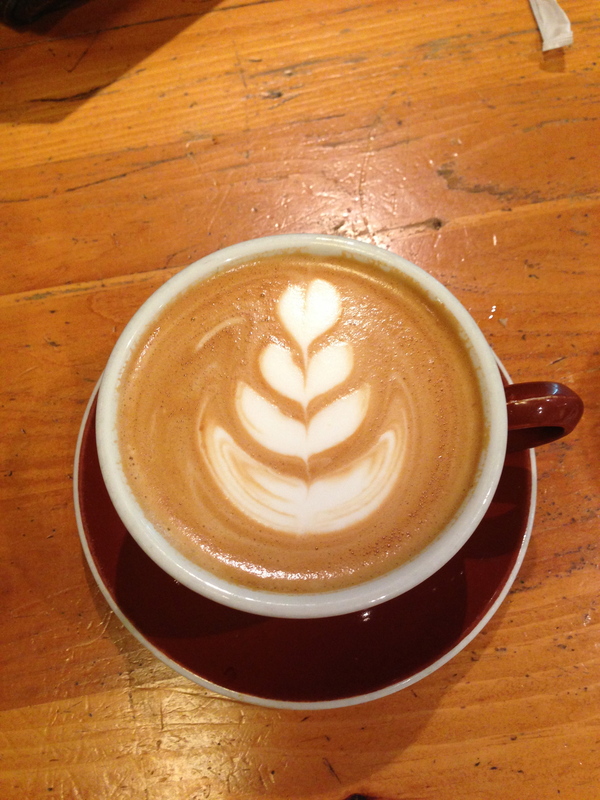 A coffee house is the perfect place to meet with friends to plan a vacation trip to Europe! There’s a number of them around the city and the popularity of independent coffee houses has completely fuelled my coffee addiction! 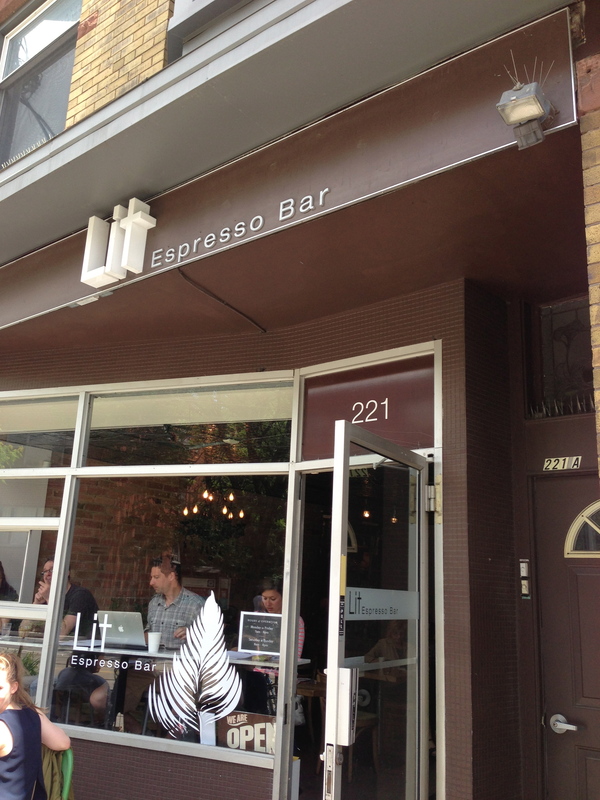 On a Sunday morning I, S and myself decided to meet at Lit Espresso Bar – an espresso house located in the Roncesvalles area of Toronto. A neighborhood joint, the espresso bar was busy with locals enjoying their morning coffee and a line-up 6 people deep that never let up. 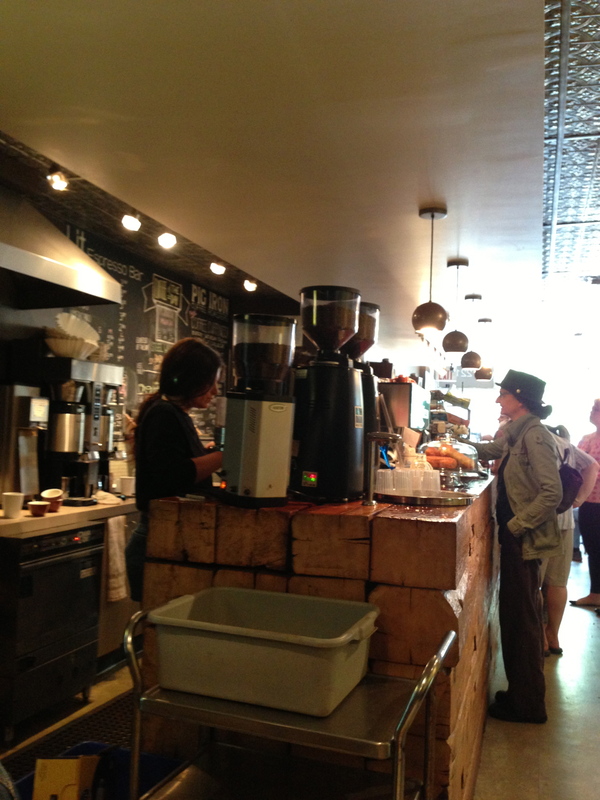 Although the espresso and coffee should be the star of any coffee house (Pig Iron Coffee supplies Lit), the pastries need to be up to par and offer something a bit different than the regular Tim Horton’s. Only problem is, you need to go early to get the best selection – they had the most scone selection I’ve seen in awhile! So I ordered the double dark chocolate scone, a chocolate scone with large chunks of bittersweet chocolate topped with crunchy sugar crystals, it was decadent and delicious standing up to the strong iced latte! I would definitely come back! 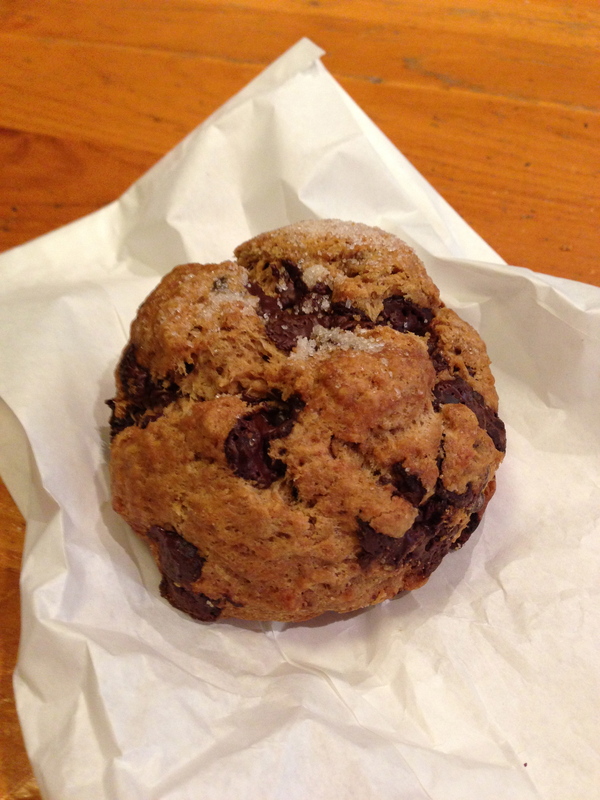 Double chocolate scone – chunky and decadent. 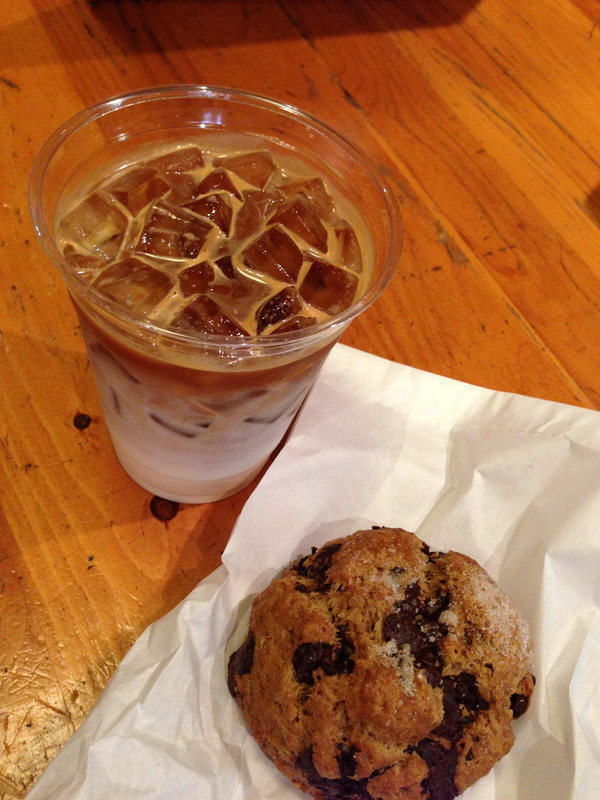 Iced skim latte and a double chocolate scone.